Colon cancer develops slowly, but a colonoscopy can detect early changes and help you get treatment while the disease is in its early stages. At Arlington Gastroenterology Services, board-certified gastroenterologist Hamid Kamran, MD, FACG, performs colonoscopies to screen for colon cancer and to diagnose and treat a range of intestinal symptoms. Schedule an appointment at the office in Arlington, Texas, either online or over the phone. A colonoscopy can detect polyps (growths that are sometimes precancerous), ulcers, and tumors. In addition to looking at the inside of your colon, Dr. Kamran may use the colonoscope to take a biopsy, or tissue sample, to diagnose abnormalities. He can also treat certain symptoms, including by removing polyps. The use of colonoscopies has proven effective at screening for colon cancer, and can even treat the early signs of the disease. Dr. Kamran recommends a screening schedule based on your risk factors. If your risk of colon cancer is average, meaning you have no special risk factors, you should have a screening colonoscopy every 10 years beginning at age 50. Polyps take about 10 years to turn into cancer, so this schedule is safe for most people. A colonoscopy is the best way to detect colon cancer early on. 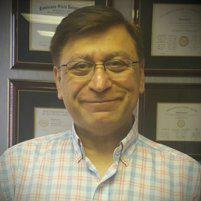 Further, when Dr. Kamran discovers and removes polyps, he prevents them from developing into colon cancer. It’s crucial for Dr. Kamran to be able to see inside your colon during a colonoscopy, so it’s necessary for you to clear out your bowels beforehand. To do this, you need to avoid solid food and drink only clear liquid the day before the procedure. You may also need to limit foods high in fiber for a few days leading up to the test. Be sure to arrange for a ride home from your colonoscopy. You’re sedated during the procedure, so you relax and don’t feel pain. Though you shouldn’t drive or make important decisions for up to eight hours after the procedure, you can plan to go back to work and other everyday activities the next day. Schedule a colonoscopy at Arlington Gastroenterology Services online or over the phone.